Suite, Casa Andina Private Collection Miraflores, Lima, Peru. If you want to be frugal, stay in our small luxury inns and save twenty-five percent on our tours of Peru. Although the accommodations and some restaurants differ, all other services are identical. For details about the restaurants, see Frugal Luxury Gourmet Cuisine. 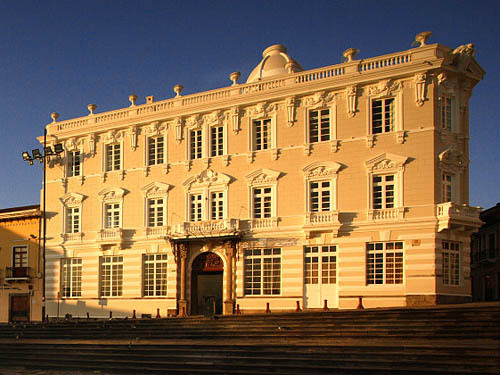 Lima: The 4-star Casa Andina Private Collection Miraflores -- Suite. 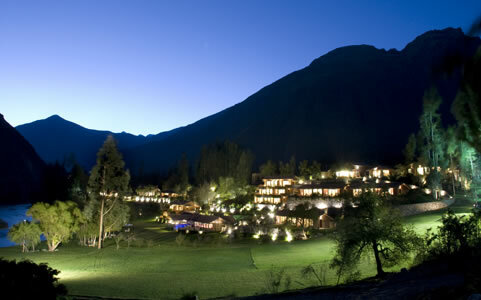 Sacred Valley: The 5-star Orient-Express Rio Sagrado -- De Luxe Room with River View. Machu Picchu: The 4-star Inkaterra Machu Picchu Pueblo Hotel -- Junior Suite. Cuzco: The 5-star Libertador Palacio del Inka Hotel Cusco -- Superior Room. 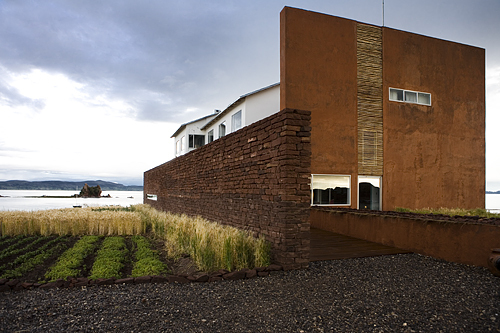 Lake Titicaca: The 4-star Casa Andina Private Collection Puno -- Suite with Lake View. Arequipa: The 5-star Casa Andina Private Collection Arequipa -- Imperial Suite. 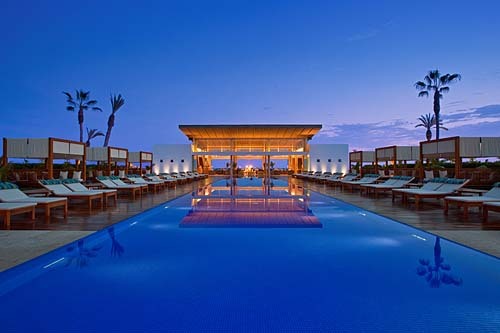 Paracas: The 5-star Hotel Paracas -- Balcony Suite with Ocean View. 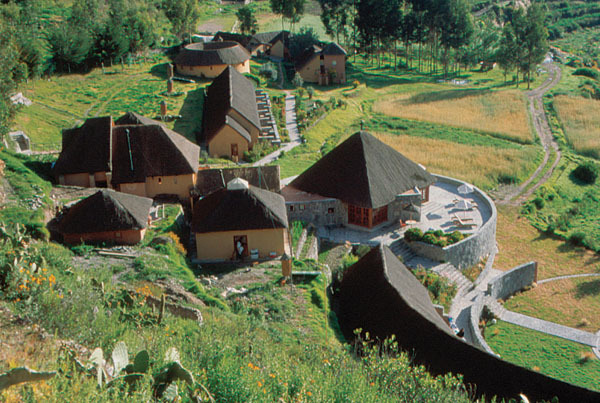 Colca Valley: The 4-star Colca Lodge -- Suite De Luxe. Quito. The 5-star Casa Gangotena -- Luxury Room. Frommer's Review: "Casa Andina, the fast-growing Peruvian hotel chain, took over this high-rise hotel, which had been Lima's first five-star hotel but was then abandoned for a number of years, and completely gutted it, turning it into its showcase property in January 2008. The result is sure to become a favorite of business travelers: It has all the amenities and services of the city's top luxury business hotels, but without the exorbitant prices of many of its competitors. The well-designed accommodations are sleeker and more luxurious than at most of the group's other hotels, and many feature nice views over the city. The chef from Casa Andina's top hotel in Cusco was brought in to oversee the modern restaurant here, and the spa and heated swimming pool are nice bonuses." 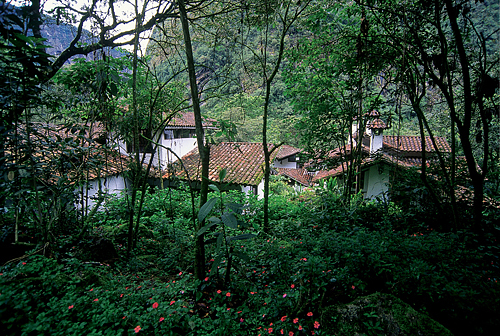 Inkaterra Machu Picchu Pueblo Hotel, Peru. Frommer's Review: "This upscale hotel, tucked into lush gardens near the train station, has real flavor and is easily the best place to stay if you can't get into the fancy hotel next to the ruins (or don't want to pay its exorbitant prices) -- though this too has gotten very expensive. It's also the best place for naturalists who want to get a glimpse of some of the extraordinary bird- and plant life in this part of the Machu Picchu Historical Sanctuary; the hotel offers orchid tours, bird-watching, and guided ecological hikes. The compound of charming Spanish colonial, tile-roofed casitas (bungalows) is surrounded by 5 hectares (12 acres) of cloud forest beside the Vilcanota River, with a tea plantation and more than 100 species of birds and 250 species of butterflies. 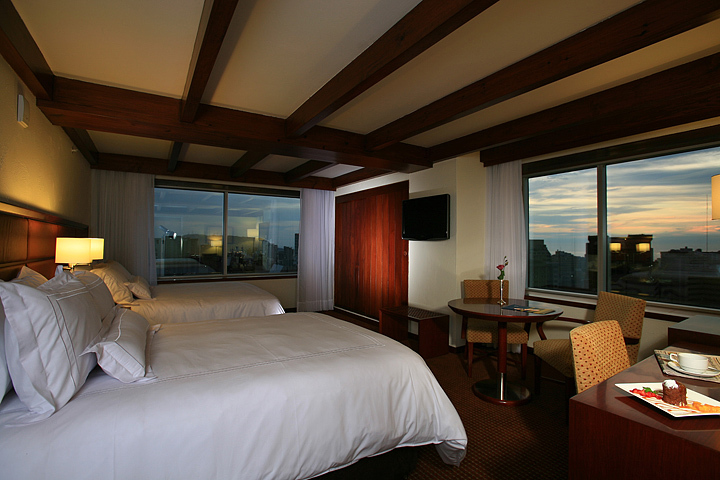 Regular rooms are large and comfortable, and junior suites have fireplaces and small terraces. A pretty spring-water pool makes this a great place to relax while taking in the grandeur of Machu Picchu." Courtyard of the Libertador Palacio del Inka Hotel Cusco, Peru. Frommer's Review: "One of Cusco's top two hotels, the Libertador could just as easily be called the Conquistador. 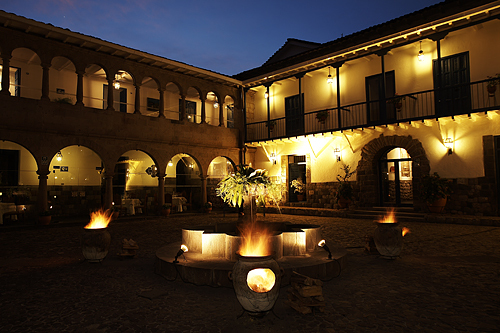 Directly across from the Inca Temple of the Sun and built on the foundations of the "Aclla Huyasi," where the Inca chieftain kept maidens, this elegant traditional hotel occupies a historic house once inhabited by none other than Francisco Pizarro. The handsome art-and antiques-filled hotel, just 4 blocks from the Plaza de Armas, is built around a dramatic colonial courtyard marked by perfect arches, terra-cotta tiles, and a Spanish-style fountain. The swank lobby has a massive pyramidal skylight and exposed Inca walls. Guest rooms are spacious and refined, furnishings have rustic colonial touches, and the marble bathrooms are large and well equipped. Many rooms have small terraces. But the Libertador perhaps most distinguishes itself with extremely attentive and professional service. The fine but pricey restaurant, Inti Raymi, is built around the edges of the courtyard and features a nightly dance and music show." Senior Suite, Casa Andina Private Collection Arequipa, Arequipa, Peru. Colca Lodge, Colca Valley, Peru. Frommer's Review: "Colca Lodge is beautifully situated across the river from Yanque and has one feature no other lodge can match: its own private thermal baths, carved in stone and secluded along the banks of the river. The continually expanding lodge is a very comfortable, eco-style hotel with adobe, stone, and thatched-roof architecture, and solar power. Its level of luxury is just a small step down from the Las Casitas del Colca, the top choice in the region (although those hot springs make it a close call). The views of the valley are excellent from nearly everywhere. The hotel also has a sophisticated lodge-style restaurant serving fairly expensive lunches and dinners."